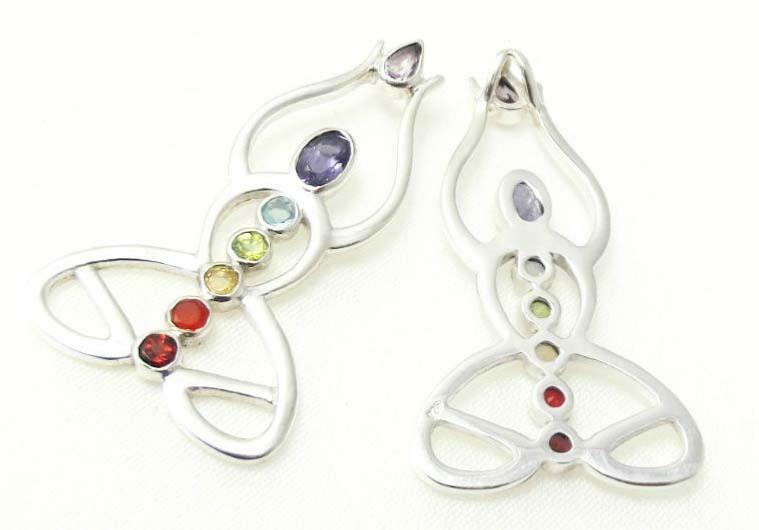 The 7 chakra stone pendant resonates with the chakra of the corresponding colour frequency to heal, balance and energise for optimum health. 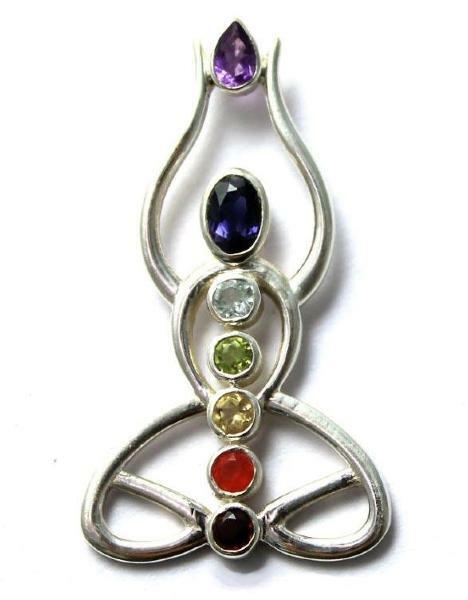 A chakra pendant made of 7 chakra stones to promote well-being and perception. One of our most beautiful sterling silver chakra pendants, with open backed settings for maximum energy transfer to the wearer. Garnet, orange zircon, citrine, peridot, blue topaz, iolite and amethyst.